Pitches for tents located in Natural Area (Forest). Walking access only. Parking on the edge of Forest. Flat pitches and suitable for all sizes tents. 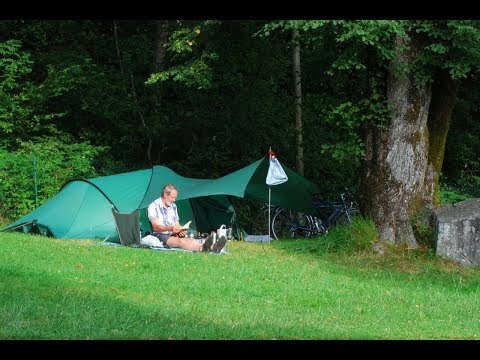 Camping for nature lovers! Le Roji est destiné aux amoureux du bois et des ambiances cocooning ! Sa décoration séduira les personnes en recherche de décoration typique ! Prestations premium, dans un jardin avec vue ensoleillée sur les montagnes. Pour les amoureux du grand confort. Situé sur un très emplacement généreux, vous apprécierez sa grande terrasse et sa vue sur les montagnes environnantes. Le pièce de vie de près de 18 m2 est son principal atout ! Opt for our rental rental premium 2 to 6 people with two separate bedrooms. You will find the cozy atmosphere and the decoration of a hotel suite. The living room open on the terrace and the garden is equipped with a real sofa that turns into a third bedroom (with the help of a curtain to separate from the main room). covered terrace for summer 2019 ! New in 2019! The Cottage Suite Life offers an XXL space and is over-equipped. It is particularly well suited to families whose parents want to have the cot in their room. Benefits of very great comfort! Rental to PMR standards. Nouveauté 2019; un locatif idéal pour les familles ! Sa terrasse intégrée couverte et prolongée permet de profiter de la vie dedans-dehors. Equipé d'un salon très cosy avec une grande banquette en angle et 2 ouvertures. The owners were extremely helpful. They waited up when I arrived late and knew the area and region well so could advise on places to go cycling. It was early in the season so I got a plot close to the showers. Not a dislike really but shower in the cabin is not suitable for disabled person however the on site disabled shower was a godsend. Location, proximity to Lourdes, stunning scenery of the Pyrenees, friendly reception, restaurant, large pitches, peaceful. Assuming I understood the operation of the campsite correctly, I really disliked that the fresh water supply was shared with the Chemical Toilet disposal area. I saw the tap I used to fill my water barrels being used later in the day to wash down another campers toilet cassette. I think that sharing the supply is very unhygienic and that they should be very separate.